Open Road Films has released the first photo of Joseph Gordon-Levitt as Edward Snowden in Oliver Stone's upcoming thriller, "Snowden." 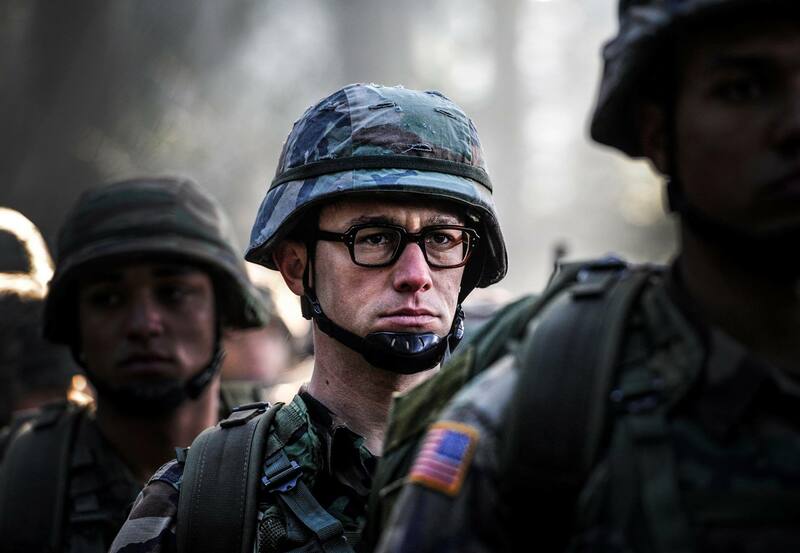 The photo shows a bespectacled Gordon, as Snowden, in a soldier's uniform. "Before he was a whistle-blower, Edward was an ordinary man who unquestioningly served his country," Open Road said in a statement accompanying the photo. Gordon also shared photos from the set, writing, "This is gonna be Oliver's twentieth film, and I feel so sincerely privileged that he asked me to play this part." "Snowden" is currently shooting in Munich, Germany, before moving to other locations around the world, the studio added. The film also stars Shailene Woodley, Scott Eastwood, Nicholas Cage, Timothy Olyphant, Zachary Quinto, Melissa Leo, Tom Wilkinson, Rhys Ifans and Joely Richardson. It's scheduled to arrive in theaters on Dec. 25. Last month, "Citizenfour," also about Snowden, won the Oscar for best documentary feature.